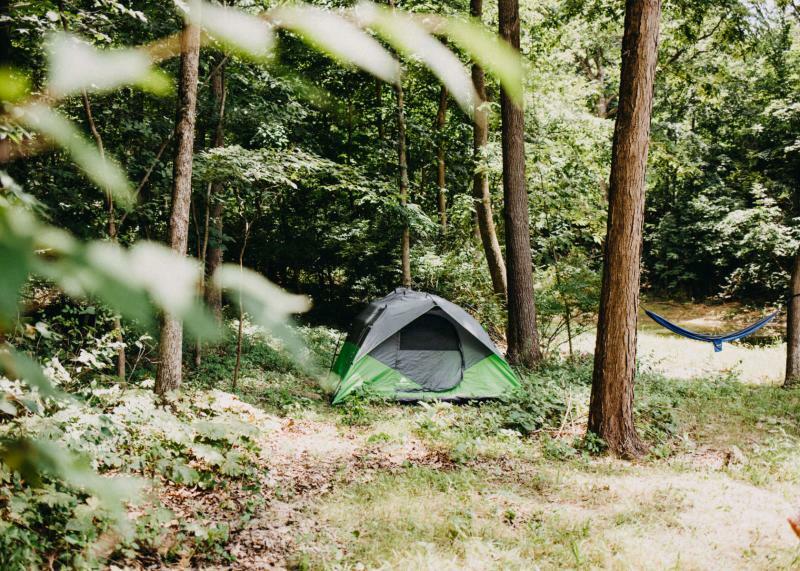 Are you looking for that perfect weekend camping getaway? Red Gate Farm, LLC now offers camping here in Petersburg, on the farm, by reservation only! 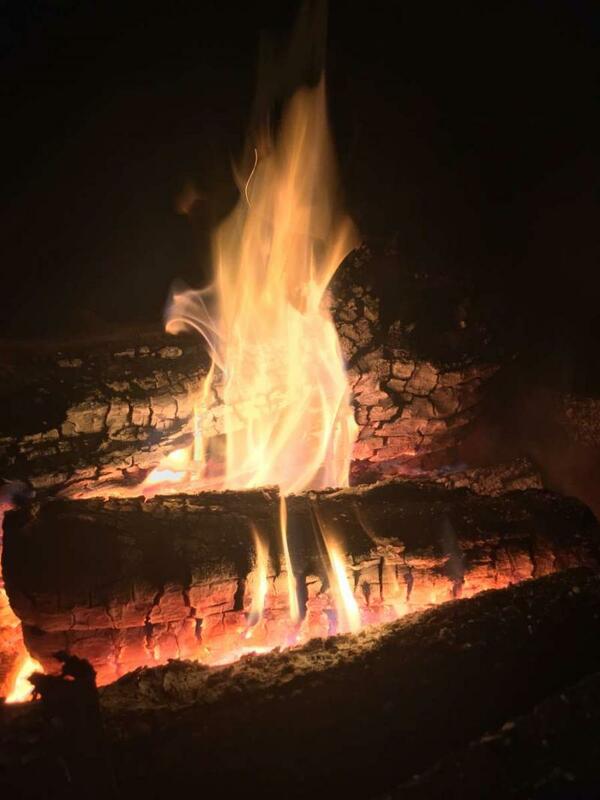 We currently have 2 options available--RV camping or primitive tent camping. 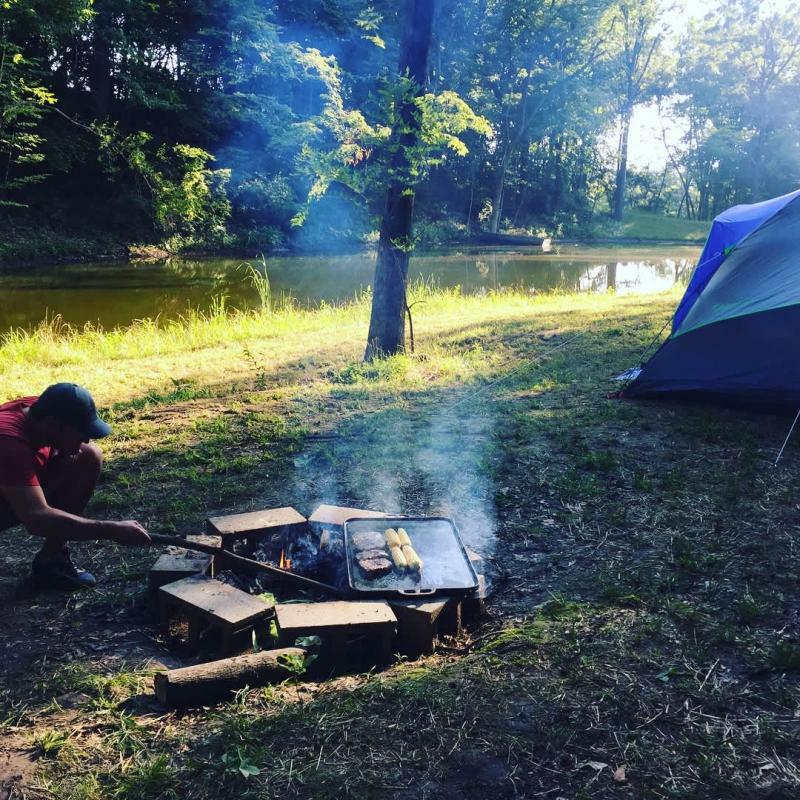 Once you get your RV or tent site site up, you can sit back and relax, as you take in the sights and sounds of nature that will surround you. Although you are only a half mile from the nearest main road, you will feel almost completely secluded. At dusk and dawn, if you sit quietly enough, you may even see some of our many white-tail deer, wild turkey, or other wildlife come to drink at the ponds. 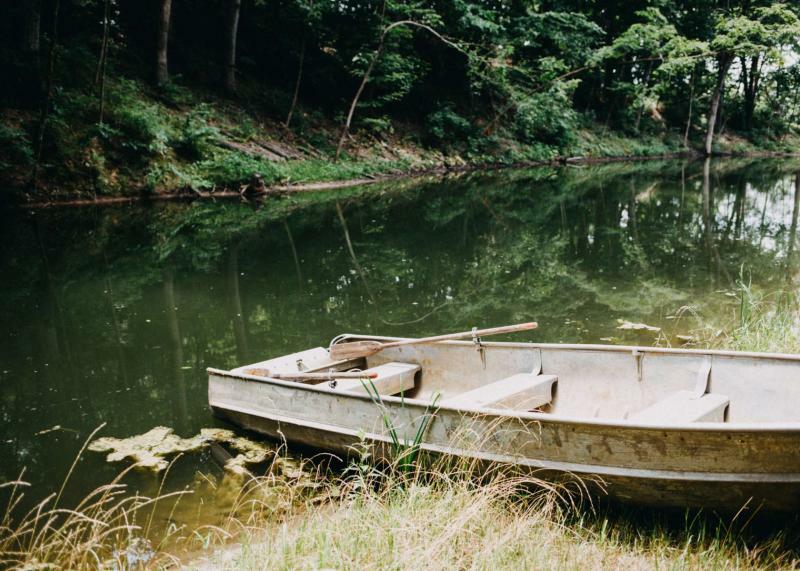 You can swim in the pond, use the v-boat, or even walk around the farm to enjoy the scenery. If you leave time for sight-seeing in the area, we are surrounded by wonderful and historical attractions! We are just 2 miles from Lincoln's New Salem State Park and Historic Site. Roughly 20 miles southwest of us is the Illinois capital, Springfield, which has an array of great restaurants such as Darcy's Pint which serves up the famous award-winning Horseshoe; historic sites including the famous Lincoln Presidential Museum and Lincoln's Village; Knights Action Park and Water Park, perfect for a hot summer day; and much more! 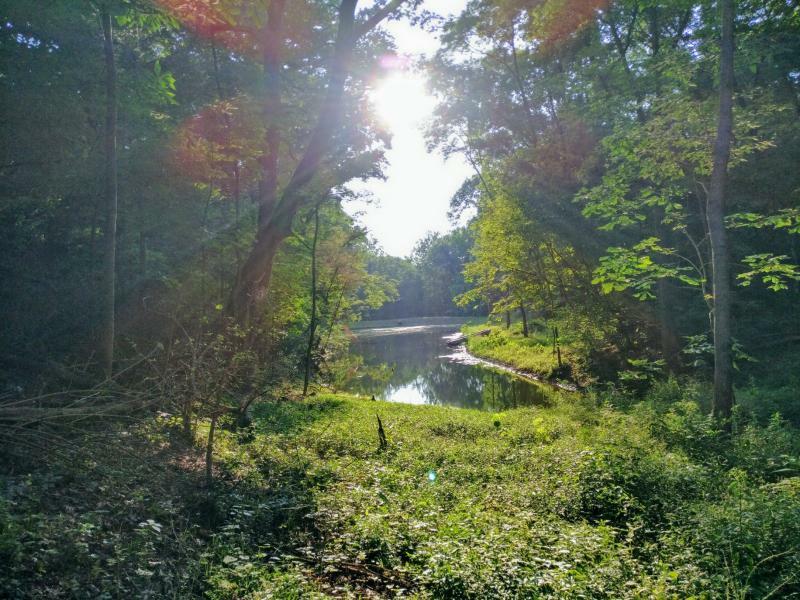 About 30 minutes west of the farm is Jim Edgar Park, which has some amazing fishing ponds, hiking and horse-back riding trails, and wildlife viewing. If you’re interested in experiencing farm life, we welcome you to join us for chore time. We offer educational tours and other options by appointment for an additional fee, or you can also schedule a "Beginner's Horse Experience," riding lesson, or even a horse-drawn wagon or carriage ride for a discounted hourly rate. In addition, we offer fresh, pastured eggs, meats, and produce for sale, all of which was grown right here on the farm. For more info on options, just ask! We are happy to send you info in advance! Our goal is to provide you with an opportunity to experience our piece of paradise, and create memories you will always cherish!﻿ Please select from the links below for additional details and pricing! Click here to go to our Hipcamp RV reservation page! Click here to go to our Hipcamp tent reservation page!